Meals On Wheels serves over 800 individuals a hot, nutritious meal delivered to their door by caring volunteers. The quality of the food provides nourishment for the body. The encouraging words from volunteers provides enrichment for the soul. Together, we strengthen the community by caring for a segment of our population who are often forgotten. For many of the homebound, a visit from a volunteer is the only human contact they will receive that day. 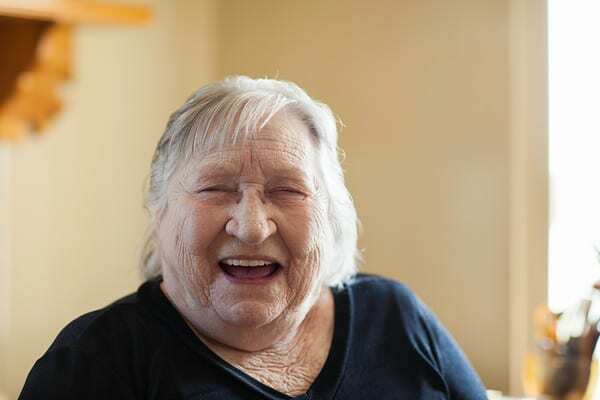 Our recipients receive a hot meal and a visit designed to achieve – increased intake of nutritious food, improved personal outlook and health, and decreased feelings of isolation and loneliness. Meals On Wheels of Tampa is a proud member of Meals on Wheels of America and is proud to report 83 cents of every dollar donated goes directly back to programming. 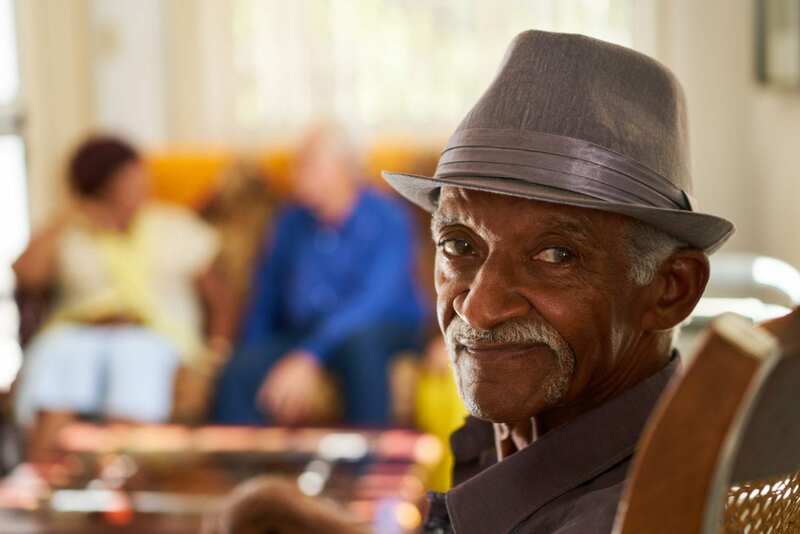 Since 1975, Meals On Wheels of Tampa has been committed to fulfilling the mission of nourishing, enriching and strengthening the lives of our homebound and senior community. To eliminate hunger, isolation and loss of independence for the homebound and seniors in our community. Meals On Wheels of Tampa was founded by Gloria Fuentes, a Tampa resident experiencing difficulty when caring for her two homebound relatives who lived on opposite sides of the city. Recognizing the need to assist not only her family, but also others who wanted to remain independent in the security of their own homes, she formed a committee of pastors and church members throughout Tampa to help organize the effort. On March 17, 1975, Meals On Wheels of Tampa began with a group of dedicated volunteers who cooked meals in the recreation hall of a local United Methodist Church and delivered 14 meals to people who were homebound. The number of those in need of the meals provided by Meals On Wheels has steadily increased over the years. In 1993, after 17 years of helping people from the kitchens and offices of neighboring organizations throughout the community, Meals On Wheels purchased the building at 550 W. Hillsborough Avenue in Tampa to house its Administrative Offices and Kitchen. In 2006, as a result of a capital campaign, a major kitchen renovation was completed. 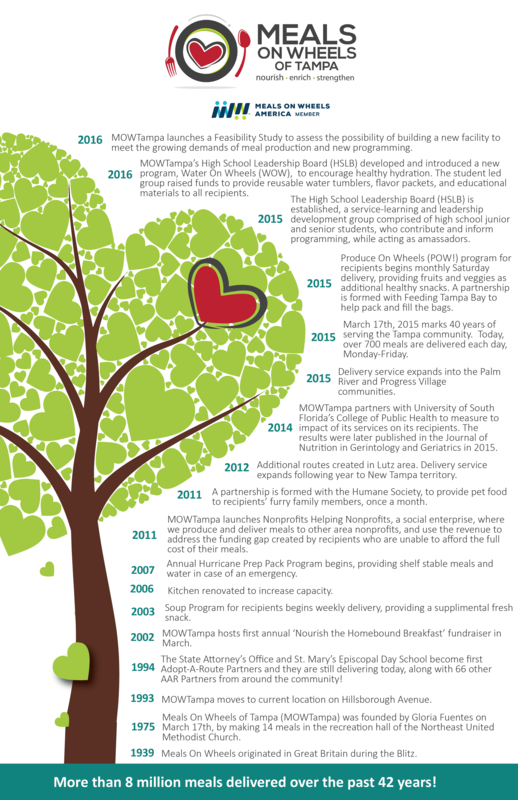 The renovation began after an extensive strategic planning process focusing on growth while maintaining the grassroots, personal touch, care, and compassion that is synonymous with Meals On Wheels of Tampa. The new commercial grade kitchen enabled the mission to reach more people in need of food. Now, after years of faithful volunteer and community support, Meals On Wheels of Tampa serves over 800 meals per day to our homebound neighbors. 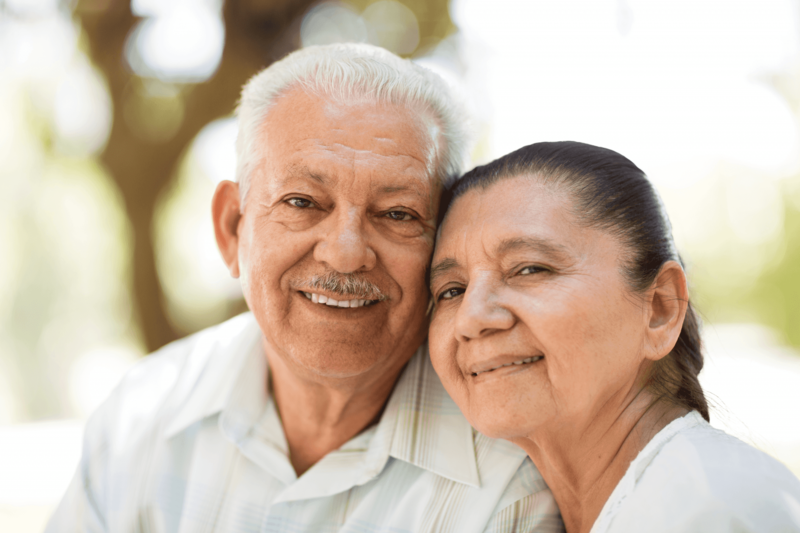 Creative planning and generous donations from the community has made it possible for Tampa’s homebound individuals and seniors to receive the help they need.